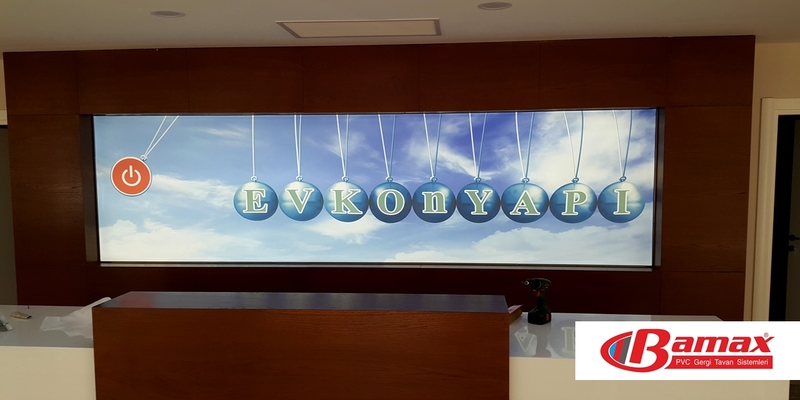 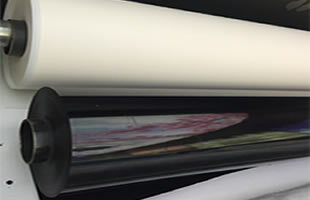 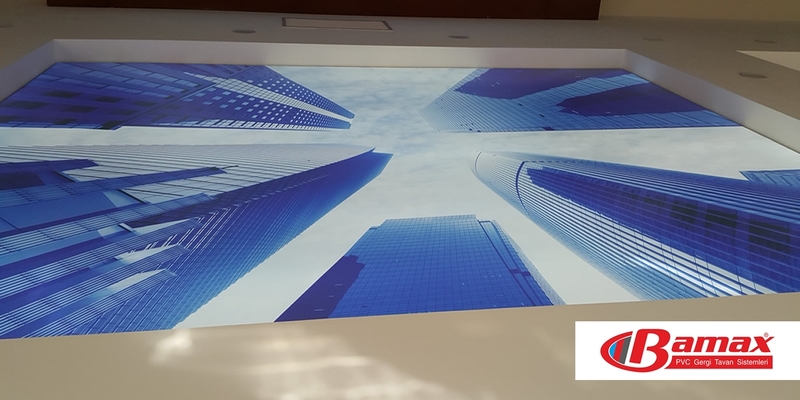 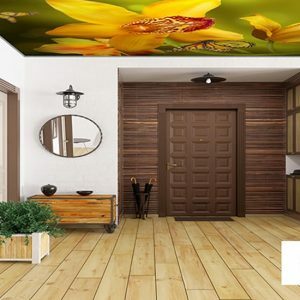 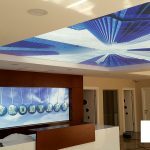 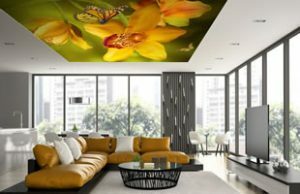 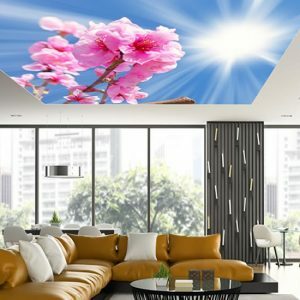 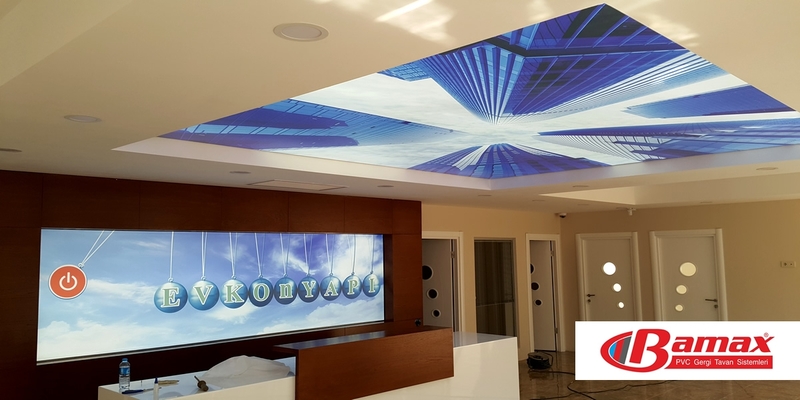 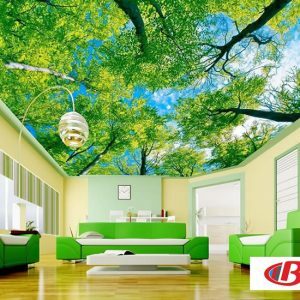 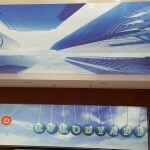 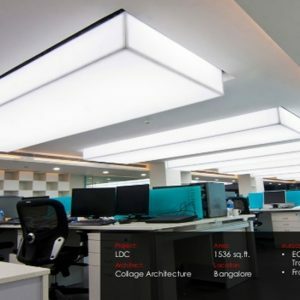 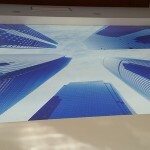 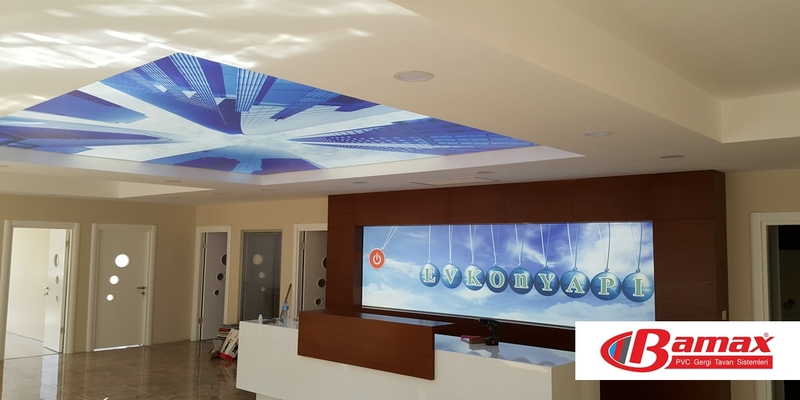 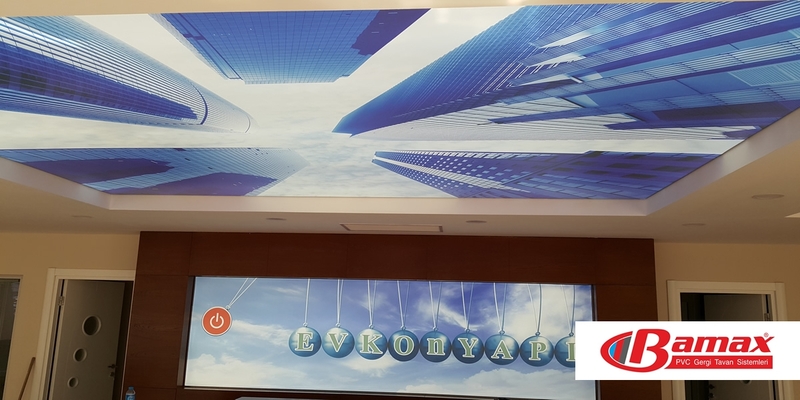 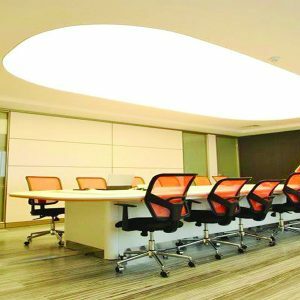 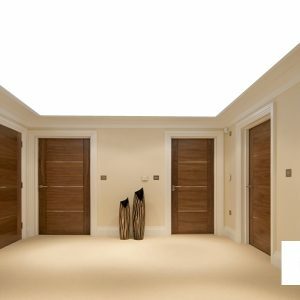 In Evkon building stretch ceiling applications, printed stretch ceiling, ie digital printing stretch ceiling system has been applied. 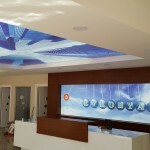 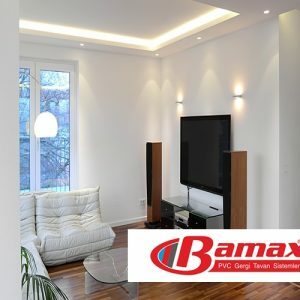 In this application led lighting system was used and an excellent soft lighting was obtained. 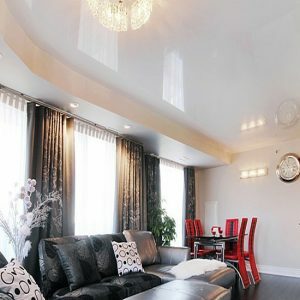 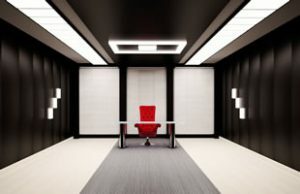 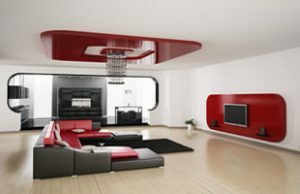 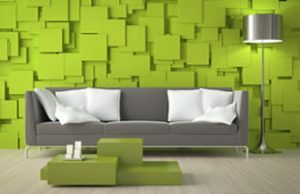 The place has gained a more beautiful look and more perfect designs can be achieved.